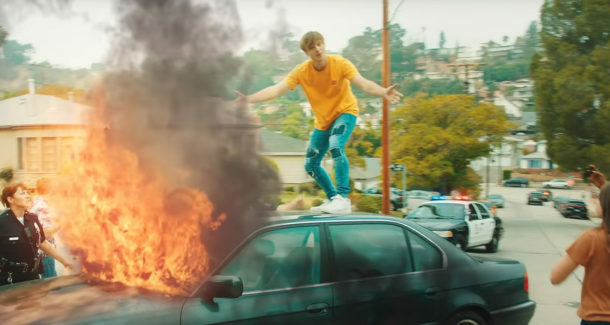 EBEN’s new video for his single “That’s Alright” is a funny and fiery based around the true story of his car going up in flames. Opening hilariously with police informing a sleepy EBEN (spelled out for the cops “E-B-E-N”) that his car is on fire. The music comes in like a whirlwind, with EBEN singing while standing on his burning car as his neighbors react to madness. It’s an awesome video from an awesome artist, confident in his visual and sonic identity! I’m looking forward to seeing what the new year brings from EBEN!